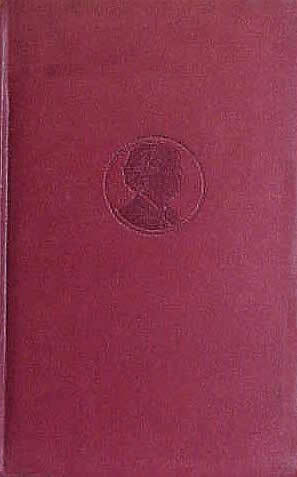 Harper and Brothers began production of the Limp Leather Edition of Mark Twain's works in January 1915. An ad in Dial magazine in March 1915 described the edition as being published at the rate of two or more per month. Harper and Brothers continued the same arrangement implemented by Frank Bliss and American Publishing Company of dividing certain titles of works into two volumes. Titles complete in one volume sold for $1.75. If a work had been divided into two volumes, the title sold for $1.50 each or a total of $3.00. The spine of this edition features gold stamping in floral motif. 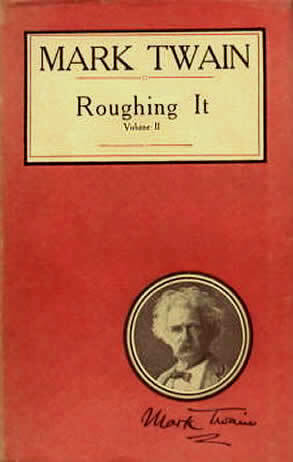 The cover features the cameo profile of Mark Twain that was also used in the red cloth Author's National Edition. Top edges of the pages are gilt. The Limp Leather ornament appears in each volume of the edition preceding the frontispiece and title page. An ad at the back of Living the Radiant Life (1916) by George Wharton James announced the completion of the Limp Leather Edition in 24 volumes. However, two additional volumes were added later bringing the total number of volumes in the Limp Leather Edition to 26. Printing codes from July 1916 indicate How to Tell a Story was also added to the Limp Leather Edition that year. In 1917 Harper published What Is Man? and Other Essays and also released a Limp Leather Edition of that title bringing the total number of volumes in the Limp Leather Edition to 26. By May 1918 Harper and Brothers rearranged the contents of How to Tell a Story and reissued the majority of that story collection under the new title In Defense of Harriet Shelley and Other Essays. The short essay "How to Tell a Story" was moved to subsequent printings of The $30,000 Bequest. Copyright records from Library of Congress indicate that Harper added In Defense of Harriet Shelly and Other Essays to the Limp Leather Edition in 1918. By the end of 1918 the Limp Leather Edition included all 25 titles previously available in uniform editions of Mark Twain's works that had begun issuing in 1899 plus What Is Man? and Other Essays. However, buyers could choose to purchase individual volumes or the entire set. Harper described the contents of the volumes as the same as the red corn stalk Uniform Trade Edition "with slight exceptions." The volumes feature one frontispiece but no other full-page illustrations. Printing codes in the Limp Leather edition have been found as late as 1931 indicating production of the edition ran into the 1930s. Dimensions are 12mo -- approximately 7" x 4 1/2"
Catalogue of Copyright Entries, Part I: Group 1 For the Year 1918. (Library of Congress, Government Printing Office, 1918). Mac Donnell, Kevin. Personal correspondence, 10 January 2012.